LAHORE:(APS) Prime Minister Imran Khan has asked members of Punjab cabinet to propose out of the box solution of problems. Chairing a Punjab cabinet meeting in Lahore on Sunday, he said the ministers should work seven days a week as there is no off-day for them. The Prime Minister said a complaint cell should be set up at Chief Minister’s Office to address grievances of people. He said District Zakat Committees should be made effective and transparency in distribution of Zakat and funds from Baitul Maal be ensured. Imran Khan said local bodies system will be finalized within forty-eight hours. He said real change will take place when people are empowered by devolving powers at grassroots level. The Prime Minister directed all the ministers to review their departments and update people about current situation. He said the public should be informed of the loans acquired by the previous governments. Imran Khan said we have to expose the corruption committed in the past and all the mega projects will be audited. He said every fact of the past 10-year governance will be made public. He said a joint investigation team should be constituted to probe all the incidents of fire in government buildings to bring about facts. 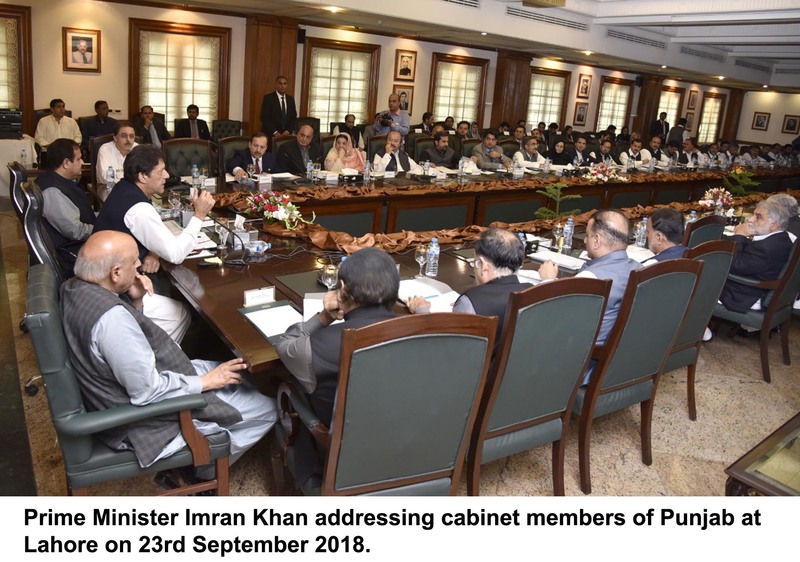 The Prime Minister said PTI government in Khyber Pakhtunkhwa focused on public welfare during the last five years, which resulted in re-election of PTI in the province. He said PTI has set a tradition of non-interference in government institutions by politicians. He said no political interference in education, health and police yielded positive results. Imran Khan said we focused on human development and gave a new thinking to people.